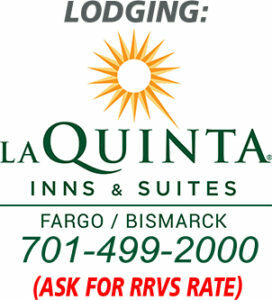 Get Your Pocket Schedule Today! 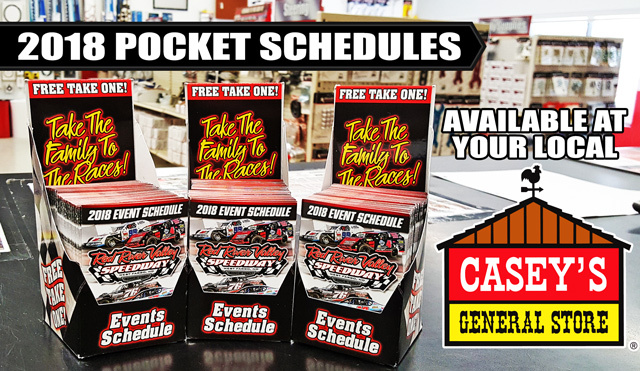 The 2018 Red River Valley Speedway pocket race schedules are now available at all area Casey’s General Stores. And while you’re there, grab a slice of pizza! 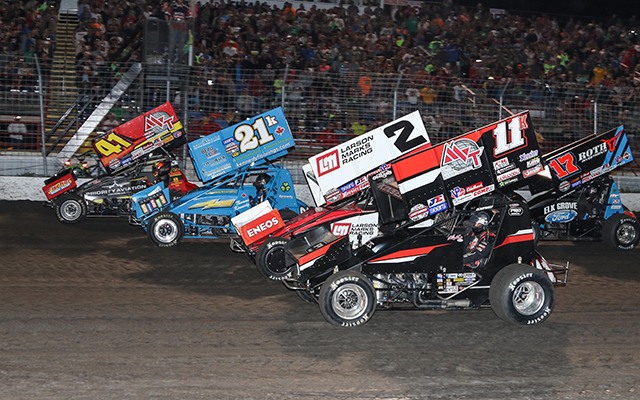 WEST FARGO, N.D. — November 18, 2017 — The World of Outlaws Craftsman Sprint Car Series will return to Red River Valley Speedway in West Fargo, North Dakota for the second consecutive year on Saturday, August 18, 2018, for the “Duel in the Dakotas.” The event will mark the 32nd A-Feature event contested by the series at the three-eighths-mile, dating back to 1981. A total of 14 drivers have picked up A-Feature wins in the series at the track during that span. Jason Johnson scored his first win at Red River Valley Speedway this past season in his debut at the track. The 2016 winner of the Knoxville Nationals held off a hard-charging Kerry Madsen and Donny Schatz for the win. Schatz, who calls Fargo home, has won four times at Red River Valley Speedway, including winning both nights of the 2006 “Duel in the Dakotas.” Schatz has won at least once at every track in his home state of North Dakota that the World of Outlaws Craftsman Sprint Car Series has competed it. He raced with the Outlaws for the first time at Red River Valley Speedway as a teenager in 1993, finishing 15th. The 2017 campaign was another historic one for the World of Outlaws Craftsman Sprint Car Series as 20 drivers picked up wins. Leading the way was Schatz, who scored his ninth series championship and became the first driver in series history to win 20 or more A-Feature events in five consecutive seasons. David Gravel had a career-year, earning 18 A-Feature wins, which was second only to Schatz. The 25-year-old finished third in points for the second consecutive year. Brad Sweet was nearly as consistent as Schatz, picking up 72 top-10 finishes just two less than the champion, with 56 of those being top-fives. Sweet visited victory lane five times in 2017 en route to finishing second in points. 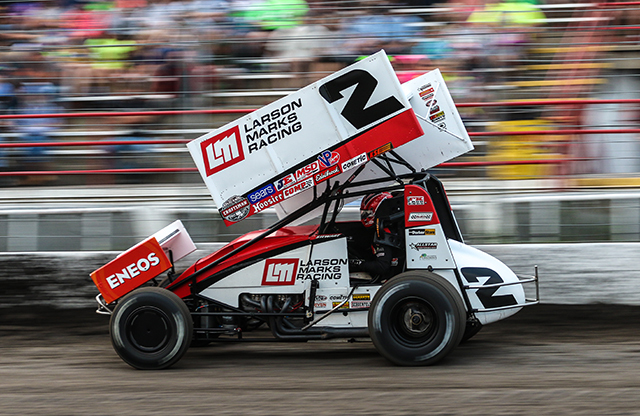 Pittman ended up fourth in the standings while picking up three wins, with Shane Stewart, who reached victory lane eight times, rounding out the top-five in points. Jason Johnson, who won four races finished sixth in points, followed by Kevin Gobrecht Rookie of the Year Award winner Sheldon Haudenschild in seventh. Kraig Kinser, who had a win was eighth, with Logan Schuchart, who earned a career-high four victories, in ninth and rookie Brent Marks rounded out the top-10. Ticket information for the 2018 “Duel in the Dakotas,” featuring the World of Outlaws Craftsman Sprint Car Series at Red River Valley Speedway in West Fargo, N.D., on Saturday, August 18, 2018 will be available soon at www.slspromotions.com. 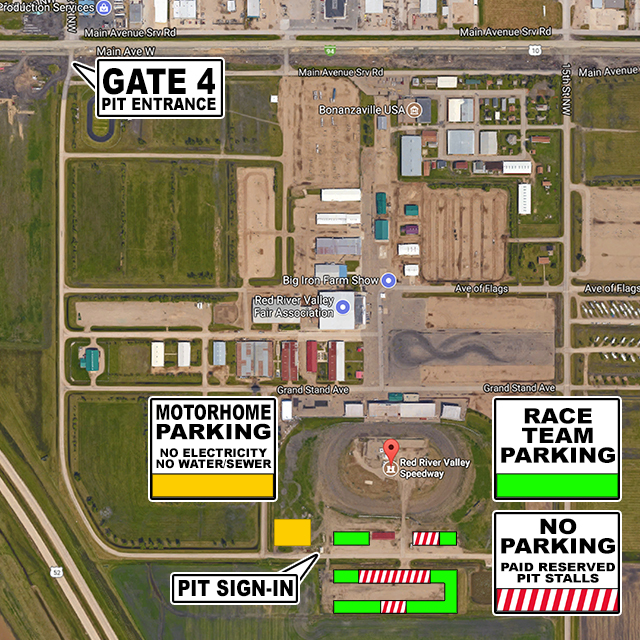 WEST FARGO – For the first time ever, Red River Valley Speedway will play host to the INEX Dirt Nationals this Friday and Saturday night. 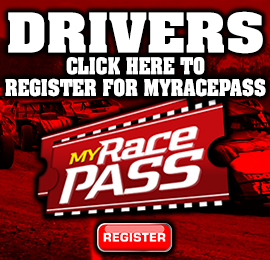 The event for the INEX legends division is the first of a series of three national events, which also cover the Asphalt Nationals at Las Vegas Motor Speedway and the Road Course Nationals near Atlanta. The country’s top talent is expected to be on display both nights at the Red River Valley Fairgrounds. In turn, the track is gearing up for a record-breaking INEX legend car count. “It’s taken a lot of work to get to this point. 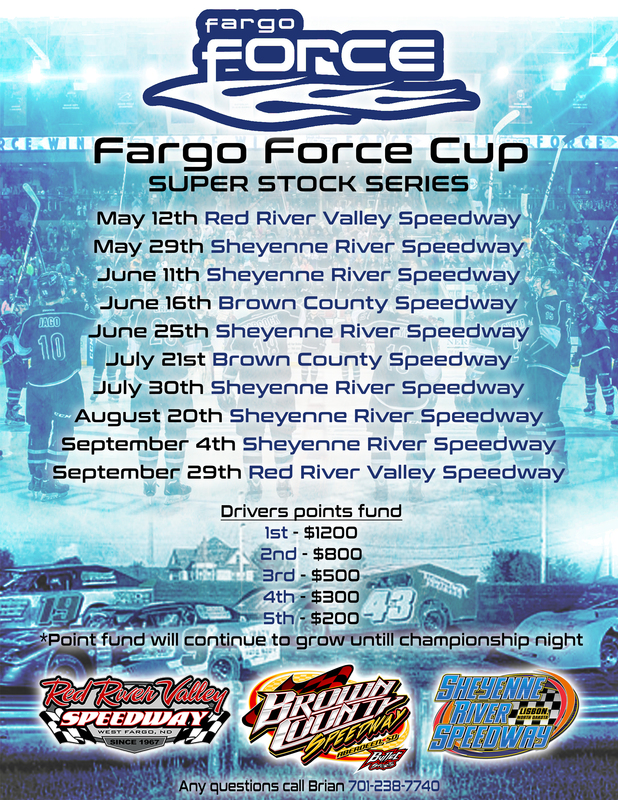 Jake and Sharnel (Bitker) and I are really excited to host this event in just our second year operating the race track,” said Red River Valley Speedway co-promoter Nick Skalicky. 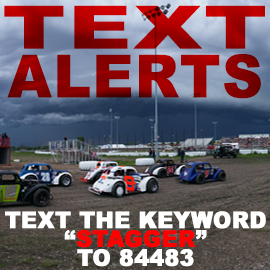 Friday’s program will consist of time trials and two sets of heat races for the INEX legends, with the consolation races and championship main events taking place on Saturday. While drivers from several states and even Australia will be in attendance this weekend, the drivers to watch out for may be Red River Valley Speedway’s own weekly competitors. Tim Estenson drives down the back straightaway at Red River Valley Speedway in his No. 14 legend. 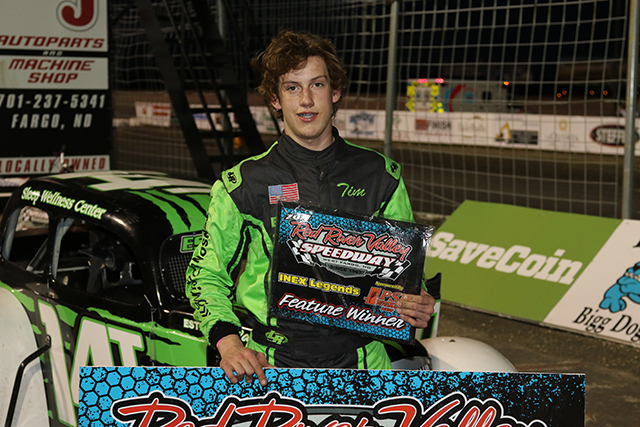 Fifteen-year-old Fargo driver, Tim Estenson, has been dominating the INEX legends division all season long at all three area weekly F-M dirt tracks. Estenson claimed track championships at Red River Valley Speedway, Buffalo River Race Park in Glyndon, Minn. and Norman County Raceway in Ada, Minn. The third-year legends driver has amassed 23 wins thus far in 2017. He enters the biggest event of the year this weekend riding a three-race win streak at two of the area’s biggest races. 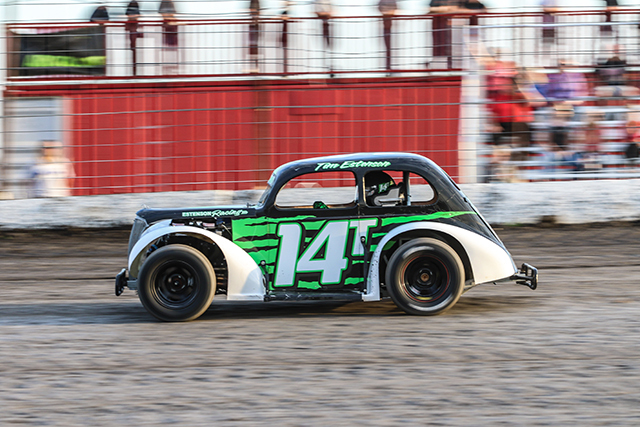 Estenson swept the Corn Cob Nationals at Buffalo River Race Park two weeks ago, before becoming Jamestown Speedway’s first-ever Stock Car Stampede champion in the INEX legends division. Even though Estenson has been racing multiple times a week, every week, since early May, preparation for this event began back around late July-early August. Estenson currently leads the Semi-Pro Dirt national points standings. 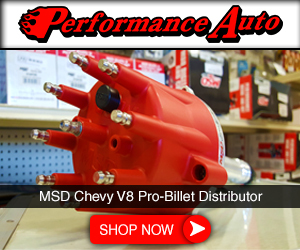 Tye Wilke of Detroit Lakes, Minn. will be another driver to watch out for. Wilke currently leads the Young Lion Dirt national point standings in just his second year behind the wheel of an INEX legend car. 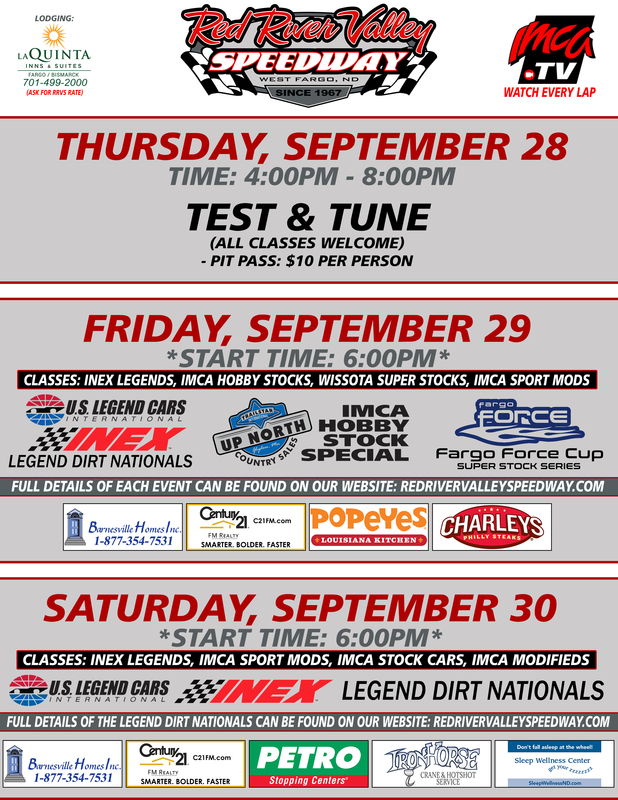 While the INEX legends will be highlighted this weekend, Red River Valley Speedway will be putting on a full racing program each night. 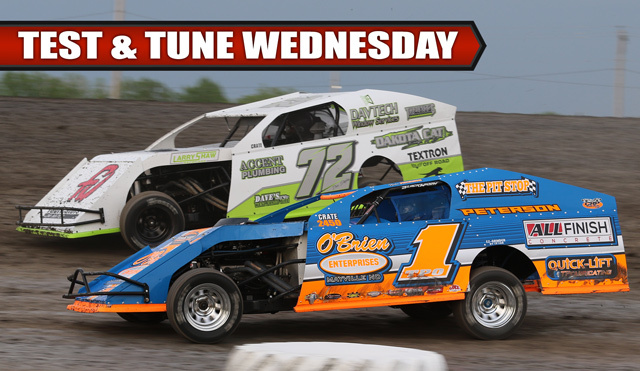 The IMCA sportmods, IMCA hobby stocks, and WISSOTA super stocks will be taking the high-banked, three-eighths mile clay oval as well on Friday. 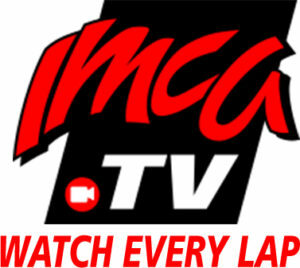 On Saturday, the IMCA modifieds return for their final appearance of 2017, along with the IMCA sportmods and IMCA stock cars. Racing will be starting an hour earlier than the weekly summer shows, with the green flag dropping at 6p.m. INEX legends race three-wide around turn four at Red River Valley Speedway. WEST FARGO – Friday night’s season championship at Red River Valley Speedway was washed out due to rain, bringing an end to the regular season. As a result, Dave Shipley of Fargo was crowned the 2017 IMCA modified track champion. Shipley took the title by 18 points over Hickson’s Tyler Peterson. Rob VanMil, Rich Pavlicek, and Michael Greseth rounded out the top five in points. Shipley recorded two wins at the three-eighths mile dirt oval in 2017. Dale Kraling and Greseth also scored a pair of wins, while Austin Arneson led all drivers with five victories this season. 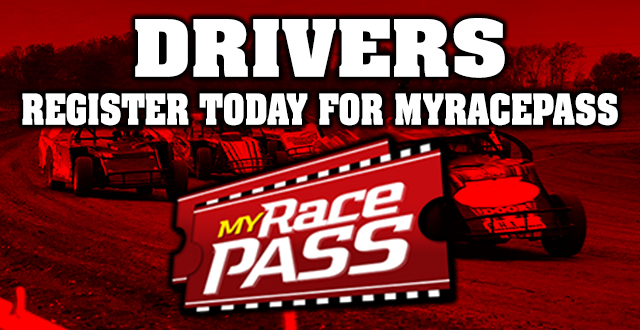 A total of 65 different drivers competed in modified division this season; the most among all five weekly divisions. 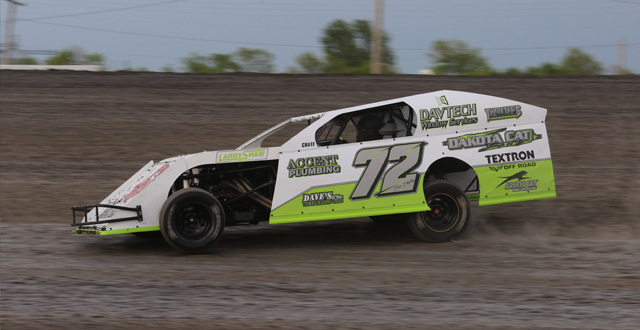 Jesse Skalicky picked up his second consecutive IMCA Sport Mod track championship. The Fargo driver dominated the wins category with eight triumphs on the season. Chris VanMil finished second in points, 14 markers behind Skalicky, with two wins on the season. Kelly Jacobson, Luke Johnson and Matt Talley rounded out the top five. Brandon Schmidt and Tim Church had some of the best battles seen all season long at Red River Valley Speedway in the IMCA hobby stock division. In the end, Schmidt took the hobby stock championship by 27 points over Church. Schmidt led the class with four wins to Church’s and Tim Shiek’s three wins. Eric Novacek, Alyssa White, and Shiek rounded out the top five in points. The IMCA stock cars were the most competitive class of the season, with eight different drivers parking in victory lane over the course of the season. Consistency was the key for Kelly Jacobson as his 10 top fives pushed him atop the standings. Tim Compson, Rick Schulz, John Sandvig, and Duffy Froemke, who led the division with three wins, rounded out the top five in points. All season long the INEX legends were dominated by 15-year-old Tim Estenson. Estenson of Fargo won exactly half of the races with seven victories. He took the points title over Tye Wilke, Kaitlyn Skalicky, Dean Julsrud, and Andrew Jochim. 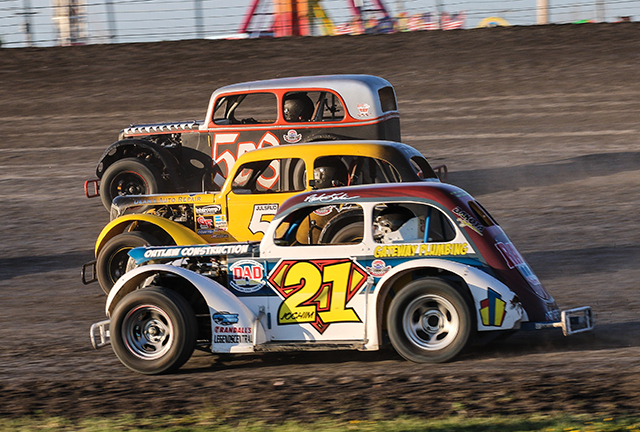 Red River Valley Speedway’s 50th anniversary wraps up with the two-night INEX Legends Nationals. The country’s top legends drivers will be going up against the stout local competition for their biggest race of the year. 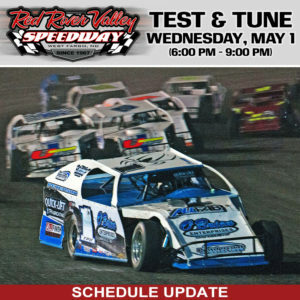 IMCA Modifieds, Sport Mods, Stock Cars and Hobby Stocks will also be in action both nights. The NLRA rumble returns to Red River Valley Speedway tonight! 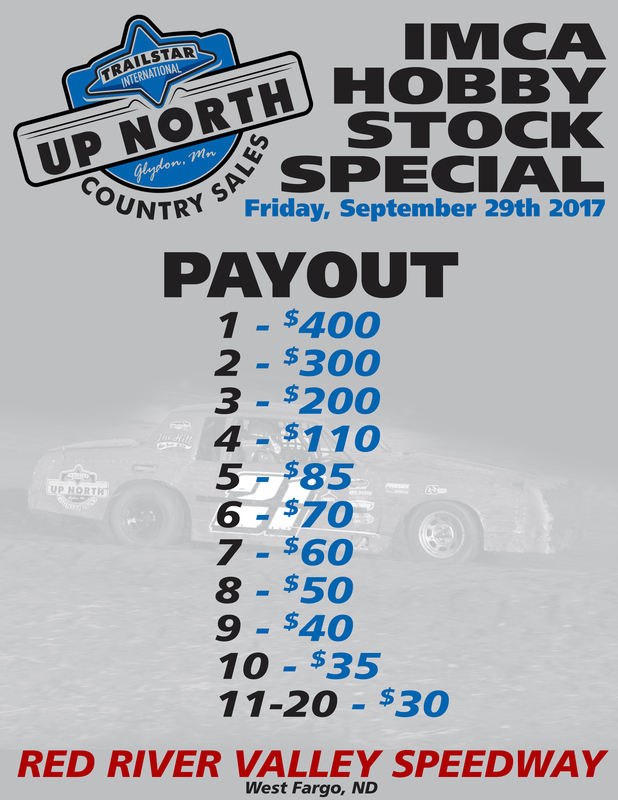 WEST FARGO, N.D. (August 23, 2017) – Tonight, Red River Valley Speedway plays host to the best Late Model drivers in the upper Midwest as the Northern Late Model Racing Association (NLRA) takes on the semi-banked three-eighths mile clay oval. The event, which is presented by The Forum, Bernie’s Wine & Liquor, Corwin Automotive, and Inland Truck Parts & Service, will mark the first and only appearance of the season by the 650+ horsepower, full bodied machines. Four-time WISSOTA Late Model national champion, Ricky Weiss, will bring in a 68 point lead over three-time and defending NLRA champion, Brad Seng. 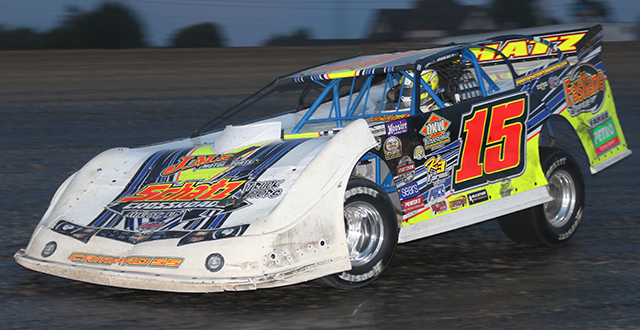 Weiss, perhaps, is one of the drivers that brings in the most experience on Red River Valley Speedway’s three-eighths mile configuration. The Headingly, MB driver leads all drivers with four career wins on the smaller racing surface, dating back to 2010. On the other side of the coin, Seng comes into the midweek special with the most momentum. The driver of the S&S Transport No. 12S is the latest winner on the NLRA tour after picking up the win on Saturday at Devils Lake Speedway. The win, which was his fourth of the season, propelled him past Dustin Strand in the points into second. The NLRA had a pair of dates on the Red River Valley Speedway schedule in 2016 and saw two different winners park in KRJB 106.5FM Victory Lane. Hometown driver Cole Schill claimed the first win of the season in front of a large contingent of family, friends and fans after holding off Seng in the closing laps. Strand won the second NLRA show in 2016 in a dominating performance in front of nearly 6,500 race fans during the Red River Valley Fair. Schill won’t be the only hometown driver in the field. The event will also be a homecoming for West Fargo driver, Jeff Hapala. Hapala has also seen victory lane at Red River Valley Speedway’s three-eighths mile, with wins in 2010 and 2012 in the WISSOTA Super Stock division. Hapala also recorded a runner-up finish in the Super Stock points in 2012. The third West Fargo driver joining the field this evening will be none other than eight-time and defending World of Outlaws Craftsman Sprint Car Series champion, Donny Schatz. After claiming NLRA wins at Red River Co-op Speedway in Winnipeg and River Cities Speedway in Grand Forks last week, Schatz will be looking for his third win in as many races at the track he calls home. NLRA drivers Donny Schatz, Brad Seng, Dustin Strand and Cole Schill will be signing autographs, handing out driver cards, and taking pictures in front of the grandstands this evening from 6:00-6:30pm.